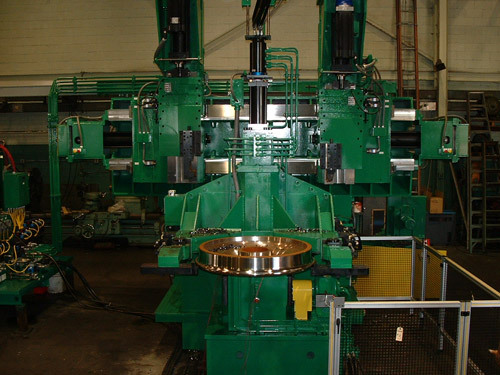 A customer in the railroad industry was in need of a custom designed lathe that could accommodate the turning of components up to 43" in diameter, 12" high, and up to 1200 lbs. It also had to satisfy their run rate of 15, 36" diameter parts per hour, to tolerances of ±005". The entire system was custom designed from the customer's concept and part prints, which included complete sets of prints and 2D engineering drawings. 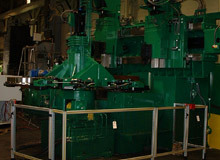 The finished machine, which measured 160" x 170" x 240", runs on 460 volts and features a 150 HP motor, running 240 volts, at 300-1600 RPM, with a 5:1 gear reducer. 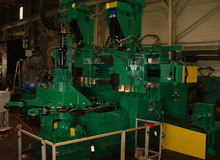 The machining station features a load/unload station to simplify the parts movement and a control panel with an AC cooler. 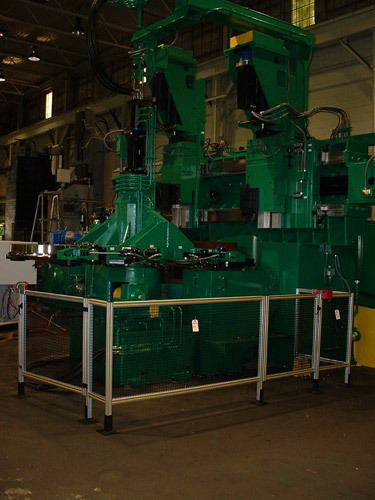 Machine features include a table drive assembly, a custom index mechanism, and a rotary coupling and stabilizer. Slide assemblies working together with CNC controls allow for machining of the railroad wheel flange, throat of flange, tread, face outside rim and hub on wheels between 28” and 43” in diameter. To learn more about this project contact us today. 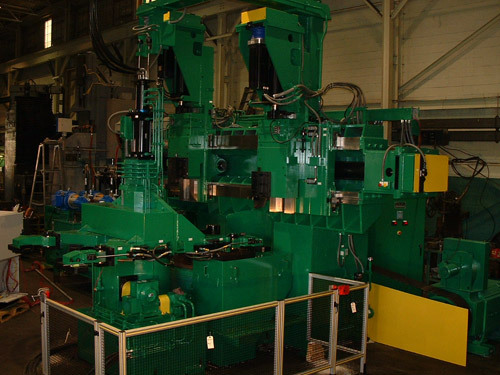 Product Description These CNC Machines are used in machining a railroad wheel. Overall Machine Dimensions 160" x 170" x 240"
Volume Machine Will Produce 15 Parts Per Hour With An Average 36" Size Part.